One bad hit has left the career of young NHL center Luke Hudson in question. When he arrives for rehab with a minor league team, his injury has robbed him of the edge that made him great. Team trainer Adella Price's job is to help Luke get back in peak condition. But their one on one sessions shake her resolve to remain unattached. Dell is hands-off to all hockey players, even one as charming and successful as Luke. As Luke starts to get ahold of his game again, he loses his grip on his heart. Helping Luke get his edge back brings to light what Dell is missing from her life. 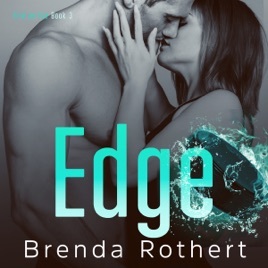 But those who want them apart are relentless, and with their careers on the line, Luke and Dell must decide if their love is worth risking it all.